Linda Cover’s Anne Murray’s ‘A LITTLE GOOD NEWS’ and changes the lyrics for a more modern version of this touching song. Linda Maze is a singer, songwriter, guitarist and musician, music producer, visual artist and performer. She has performed as a solo artist, recording artist, original singer-songwriter, lead singer of bands covering various other artists, she has also fronted bands as a bass player/ lead vocalist, and is performing as a tribute artist in Canada, USA, Malaysia, and more. 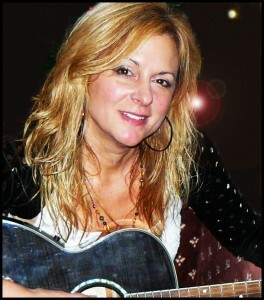 Linda began playing guitar at age 15 taking lessons in high school. She had many influences to her guitar playing, singing and writing styles including The Eagles, Neil Young, The Beatles, and Linda Ronstandt, Joni Mitchell, Stevie Nicks, Fleetwood Mac, Heart, Boston, Sheryl Crow, Jan Arden, and many others. Growing up in an unstable, chaotic environment, Linda Maze sometimes found connection, joy and peace through the power of music, and her belief in a loving higher power. When she was only 15 she wrote her first song, a message of encouragement to herself. The song was called “Love Never Dies”. Then at the age of 15 a lot more happened. She joined a group of professional musicians and started singing rock music like Led Zeppelin, ZZ Top, Bonnie Rait, Pat Benatar, Queen, and Heart. Linda had found an outlet to release her anxieties and frustrations, finding a natural high and a soulful feeling of power in her voice and the music. After graduating from high school and 6 months in a college for fine arts, Linda was 18 began touring with her first working band. She joined a band called Rival out of Kelowna, British Columbia Canada and after a few major events performing to hundreds of friends and fans, Rival toured many months in Alberta and BC, Canada. At the age of 19 Linda lived in Winnipeg, Manitoba where she enjoyed mainstream radio rotation on CKNW for a song called “Full Moon” written by her bass player. For her album “Inside the Ocean” Linda received full page reviews, medium rotation radio airplay, and graced many stages with her band “The Linda Maze Band” in Vancouver BC, the Okanagan interior, Vancouver island, and the west coast of Canada. Linda has performed her artistry in many different forms; original bands, tribute bands, cover bands, church bands, or as a solo artist with her guitar, and in many different settings and styles of stages; including casinos, festivals, venues, corporate events, coffee houses, non-profit events, charity events, churches, in both intimate and large concert settings. Some of her bands include: Rival, Dash and the Secrets, Straightlace, DoubleTraxx, Euphoria-International Dance Band, Totally Tom Petty Hosts the Women of Rock, and The Linda Maze Band. 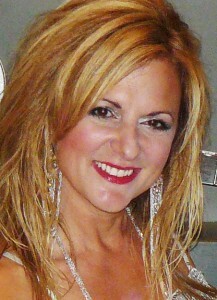 In her currently touring cover band EUPHORIA – INTERNATIONAL DANCE BAND, Linda has toured in Malaysia, and Canada staging large corporate events. 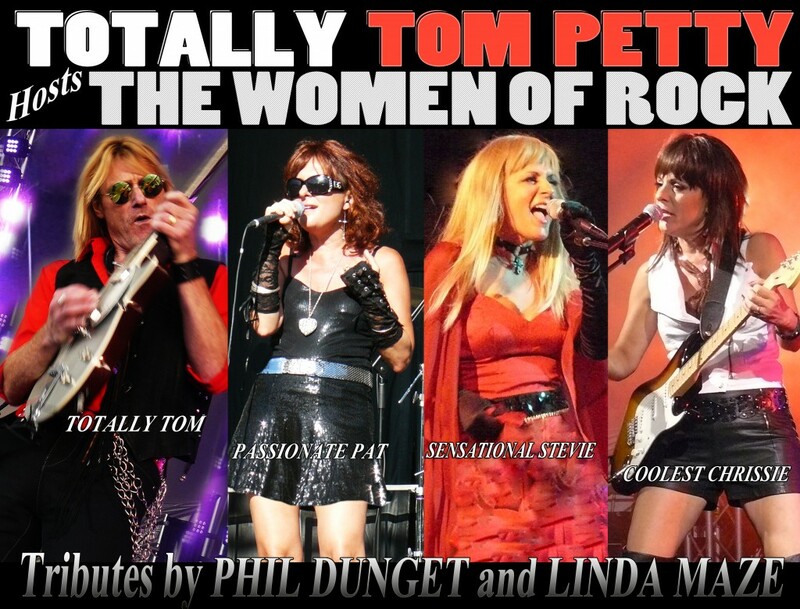 Currently, Linda Maze resides in Las Vegas, Nevada, and is looking forward to opening her show TOTALLY TOM PETTY HOSTS THE WOMEN OF ROCK, at the Tommy Wind Theater, in June 2016. TOTALLY TOM PETTY HOSTS THE WOMEN OF ROCK has been touring Canada for the past 4 years, playing large festivals, casinos, and a multitude of other events. In TTPHTWOR, Linda pays tribute to Stevie Nicks, (Sensational Stevie Nicks), Chrissie Hynde of the Pretenders, (Coolest Chrissie), and Pat Benatar, (Passionate Pat Benatar – A Tribute to Benatar’s Best Shots). STAY IN TOUCH WITH LINDA! Linda continues to write new songs, record, and promote them on line. When I was a little girl there was unfortunately a lot of trauma in my home that was ongoing and horrifying and it caused me a lot of stress, fear, anxiety and depression. It was due to growing up with a father who was not only alcoholic but cynical, angry, explosive and violent through all hours of the morning on a regular basis. The following days I would have to go to school and try to pretend I was a normal kid, and I never talked about my home life because I was afraid to tell anyone. During those years I remember that music was one of the only things that could help me experience a pure sense of joy in the midst of my suffering. There were times I would come home for lunch from elementary school and dance around the coffee table as I listened to the music my older brother would play on the stereo and it had a such a profound magical effect on me as it lifted my young inner spirit. Music is a gift of expression that can build a bridge from fear to hope, from hate to love, and from depression to happiness. Music is a way to praise, be thankful, express your love, and your innermost feelings that you may not be otherwise able to bring yourself to put into everday conversations. It bridges the gap between people by helping us realize that we share similar life experiences, feelings, emotions of pain and sadness and happiness, and we amazing creations that share common souls. Help Linda Maze make more videos and record more original music. Thank you.